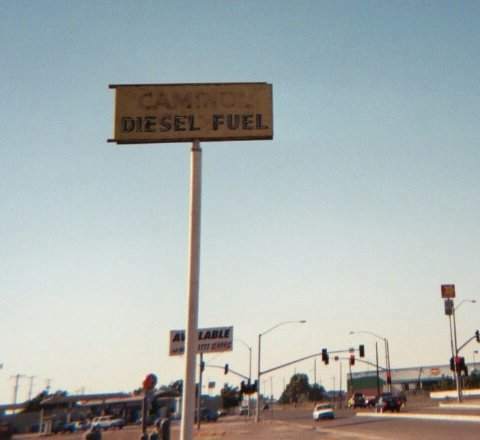 the CAMINOL sign on Simpson Avenue, Kingsburg, CA. View is looking northward. Note, the property is for sale. Whether Caminol comes with it, I don't know. 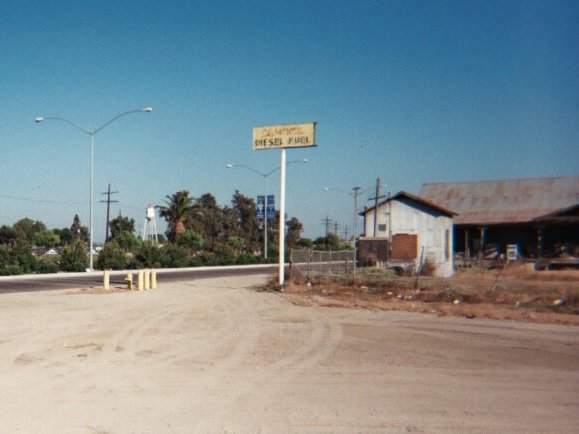 the world's largest coffee pot (the Kingsburg water tower with its spout and handle). 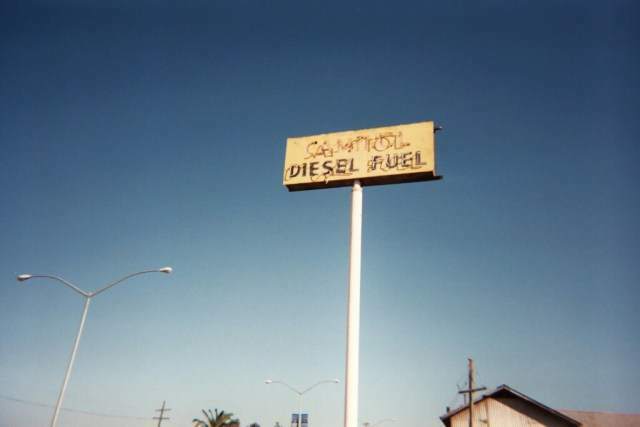 CAMINOL sign, looking southward. You see the old neon tubing sort of hanging off. Above three taken August 30, 2003 by J. Eric Freedner.